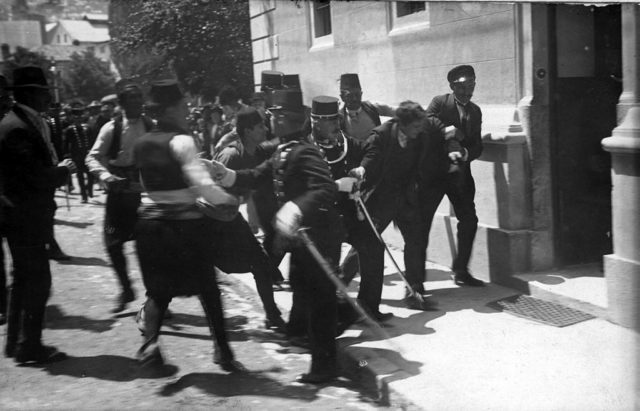 The arrest of Gavrilo Princip, after the Sarajevo assassination. Alfred Redl was a walking contradiction ― a splendid military career crafted by pure ambition and a sense of duty, opposed to the high treason and with a somewhat nihilistic life philosophy. This Austro-Hungarian was born into a poor family in the town of Lviv, today’s Ukraine. A hundred years ago the territory was part of the Austrian province Galicia. He pursued a career as an officer and was accepted into a prestigious War School in Vienna, which enrolled only 50 candidates out of thousands that applied. The officer career was often reserved for men of noble background, and Redl, who was a son of a poor railway clerk didn’t fit. Still, he was given a chance to prove himself, a chance for which he expressed eternal gratitude to Emperor Franz Joseph of Austro-Hungaria. Redl excelled. He became keen on Russian internal affairs and was soon directed to the Intelligence Bureau of the Austro-Hungarian General Staff, where he became in charge of the Russian sector in 1900. It wasn’t much later that he was on the Russian payroll. The Tsarist Intelligence Service found out that Redl was a homosexual, which turned out to be an effective way to blackmail him into cooperation. But various sources confirm that he received lavish payments for the information he provided. Thus, the relationship between Redl and the Russian intelligence wasn’t based on blackmail alone. 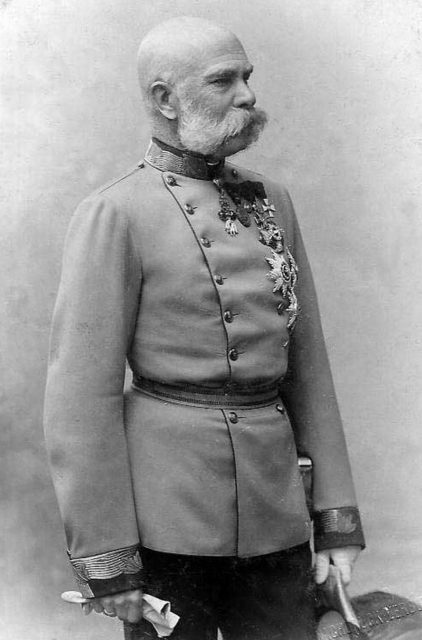 In 1902, Redl reportedly passed a copy of Austro-Hungarian war plans to the Russians.His commanding officer, General von Gieslingen assigned him to investigate the case of missing documents. Redl agreed with the Russian that he turns in several low-level agents in order to remain hidden in plain site and continue his work for the Tsarist Intelligence. This only made his position stronger as he was perceived as an effective agent by the Austrians. As it was mentioned, Redl was a contradictory figure. So was the country in which he lived. As Europe transformed during the national revolutions of the XIX century, Austro-Hungary was still a “dungeon of nations”, so to speak, with its Slavic minority heavily marginalized in the state affairs. The Hungarians formed a dual monarchy together with the Austrians, but the Czechs, Slovaks, Poles, Serbs, Croats, Slovenians and Ukrainians within the monarchy still lived as second-rate citizens. This caused these minorities to lack much sense of patriotism, and as such were often subjected to foreign influence. In the meantime, Redl continued to combine his sense for innovation with his job. By 1907, he became the head of the counter-intelligence branch of the Intelligence Bureau. He revolutionized surveillance techniques, being among the first to recognize the use of camera and sound recording devices in espionage. Among other innovations, he formed a detailed database of fingerprint records in which he held vital information on people of interest to the agency. He was responsible for great improvements in the Austro-Hungarian intelligence, as he was responsible for its demise. 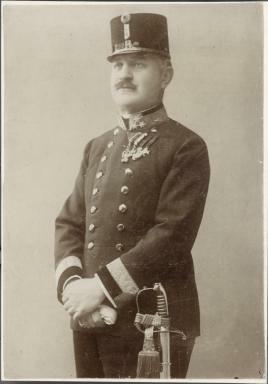 Colonel Alfred Redl became Russia’s leading spy, as he was the most effective and the highly ranked within the Austro-Hungarian military. He delivered the Russians Plan III, which was the elaborate plan for the invasion of the Kingdom of Serbia. 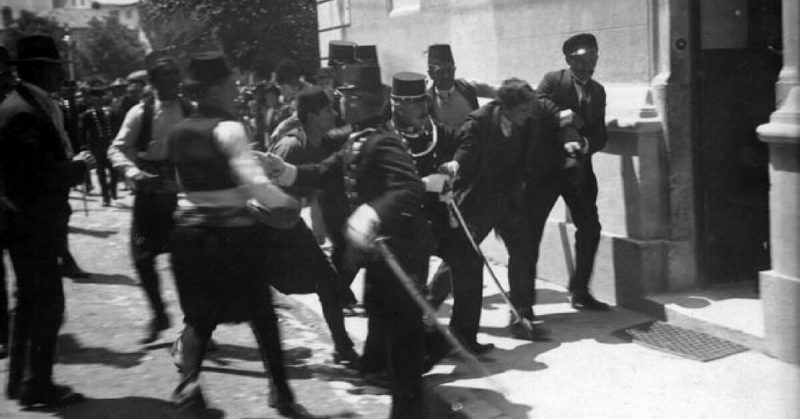 This eventually happened in 1914, after the famous assassination of the Archduke Franz Ferdinand and his wife, by Gavrilo Princip. The assassination prompted the Austro-Hungarian invasion, but since the plan was made available for the Serbian army intelligence, by the Russian Empire, it was initially repelled. This was a huge setback for the Austro-Hungarian Empire which expected to overrun Serbia easily using its superiority in both numbers and technology. But before all that, Redl was still infiltrated deep into Austro-Hungarian intelligence structures. Subsequently, he led a disinformation campaign in which he supplied incorrect estimations of Russian military strength to his own military authorities. Besides from that, the Russians got all of Austria’s principal attack plans, detailed reports on their border fortifications and all orders of battle. Soon Redl’s protege, Major Maximilian Ronge, become more and more suspicious of his mentor. Ronge instigated the practice of checking suspicious mail. On one occasion, he encountered a letter containing a large sum of money, with a reference to a known espionage cover address. Ronge arranged a duplicate letter to be put in traffic, with the same amount of money, addressed to the same recipient ― Nikon Nizetas. This was obviously a fake identity, but the question remained ― who stands behind this strange name? He set up agents to monitor the post office in which the letter was to be delivered, to see who would claim it. When the letter was claimed, the agents followed the mystery man briefly, but he managed to escape by entering a taxi cab. Luckily for them, the taxi returned after a while to the location where the agents last saw the suspect. The driver was ordered to drive back to the place where he left his last customer. It was the hotel “Klomser” and during the ride there they found a pen-knife sheath in the taxi. Arriving at the hotel, they told the management to ask the guests if any of them had lost the sheath and then waited in the lobby. When a guest arrived to claim the sheath, the detectives recognized their former boss, Colonel Alfred Redl. The Austrian Chief of Staff, Conrad von Hötzendorf, was so outraged that he immediately demanded to meet with Redl. He left him a revolver after the meeting and suggested to him to commit suicide. Out of disgrace, the soldier chose this path. He avoided trial and most probably further interrogation by his once-fellow officers from the counter-intelligence. Alfred Redl’s treason without exaggeration cost the Austro-Hungarians the war, and subsequently its statehood, since the Empire dissolved into several different countries, after the Treaty of Saint Germain (which was the Austrian equivalent of the Treaty of Versaille).